At Smilemundo, we sincerely believe that ludic learning is one of the most powerful forms of social transformation. Therefore, whenever possible, we try to bet on the design and development of games or creative experiences that serve to promote different social values. Most (The bridge) perfectly responds to this logic. Our latest creation is a cooperative board game in which players must jointly rebuild a settlement destroyed in the wake of a flood. During the game, they must cross the bridge, find the necessary materials to repair the damage suffered and get away in time from the storms. This material is one of the outstanding results of the Time of change project, which we have been developing over the last two years together with the Center for Citizen Initiatives of Słupsk and the Municipality of Słupsk, with the funding of the European Program POWER. Its main objective is to implement innovative social and labor inclusion practices in this municipality in northern Poland. It is, therefore, a tool not only playful, but fundamentally educational, designed so that professionals in the social work field can use it with their respective users. In this sense, so that the content and format of the game were well adapted to the real needs of these audiences, during the development phase different tests were carried out with groups of people at risk of social exclusion. Each box of Most includes a complete board game, an educational methodology and, optionally, the corresponding role play. 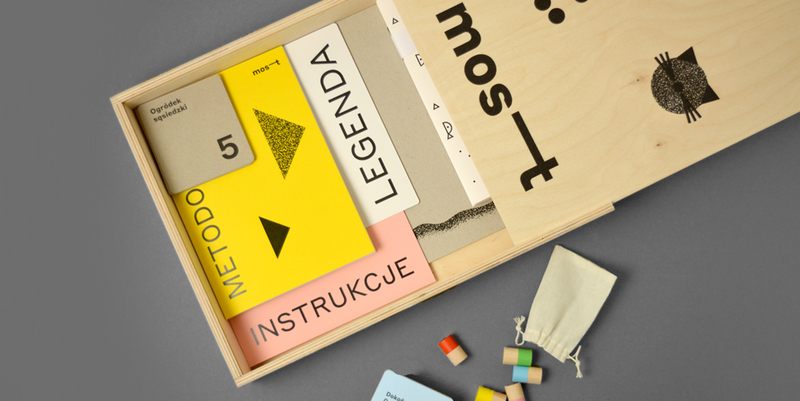 All the components of the game, from conceptual and graphic design to production, have been developed by Smilemundo, based on our original idea. For development, the design thinking organizational methodology has been followed. In this first phase, it is planned to incorporate Most in the programs of some 50 units of Social Services and organizations working with social inclusion issues in Poland.